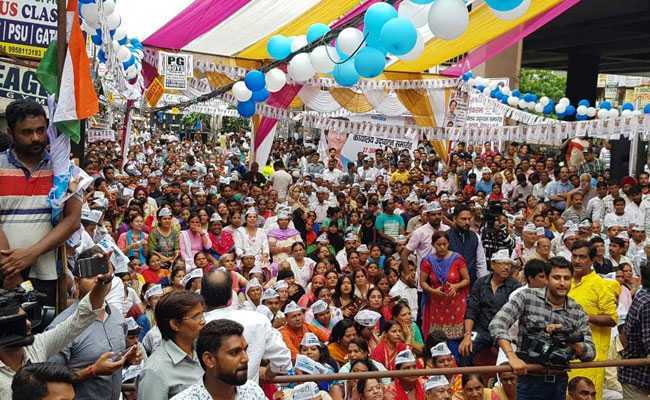 AAP has said that it is now looking for small ticket crowdfunding by the people. The initiative will be launched at a meeting with volunteers from across the country on October 14. Gearing up for the Lok Sabha polls next year, the Aam Aadmi Party is looking for fresh resources through crowd funding. "After election, we were dependent on big ticket fundings. Now, we are looking for small ticket crowdfunding by the people," Mr Bhardwaj told PTI. He said one of the funding models discussed at the meeting was the collection of Rs 100 from every individual per month, convincing people that the AAP government was dedicated to work for them. The AAP has already announced its in-charges in five of the seven Parliamentary constituencies in Delhi. Besides, the party aims to contest elections in other states, which adds up to around around 100 Lok Sabha seats. It will also fight Assembly elections in Madhya Pradesh, Chhattisgarh and Rajasthan.